For some reason, Summertime brings a lot of project inspiration and motivation, especially to me. As soon as the warm weather arrived, I started fantasizing about big projects I’d like to achieve this summer. 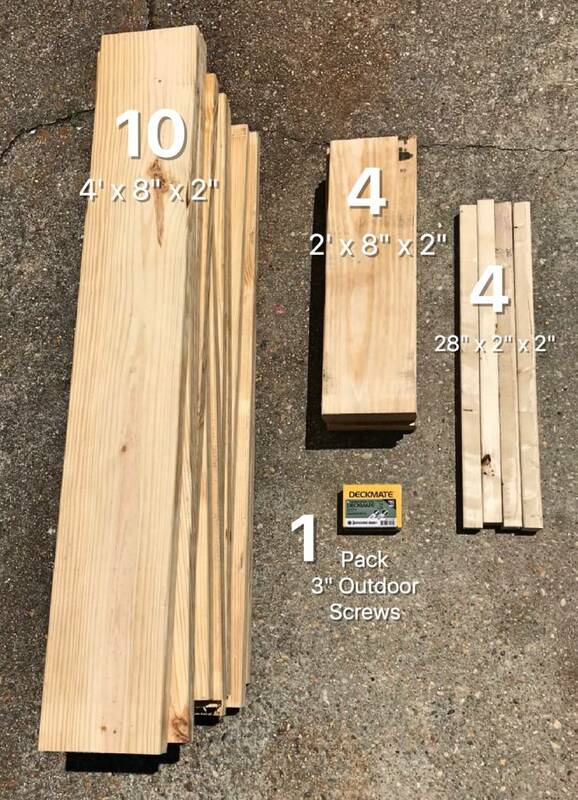 I have mental plans to transform my back porch (let’s be honest, my entire backyard) into a cozy hangout, building a fire pit, and an endless list of outdoor home improvements. One project that has been on my mind for years is to plant my own vegetable and herb garden. I love to cook and am always concerned about what chemicals go into the vegetables I buy, so why not grow them myself? Not only will this save me money on food in the long run, but this is also an opportunity to learn, and learning new things is something else I love to do. Now, I do have a dog…and a big one. He’s an American Bully, and his name Joe Pesci. Pesci loves to get into stuff when I’m not looking. Because of this, a ground level garden is not a good idea for my yard. 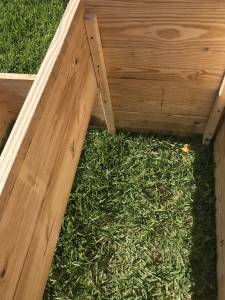 So I decided to build an above-ground box garden. Not only will this keep Pesci out of my plants, it will also save my knees some pain, as I won’t have to kneel to plant, weed, and pull the crop. I built a 2-tiered garden. I’d like to tell you that I did a 2-tier garden for some great, practical reason. But the reality is that I just think it just looks nicer. This project took me an entire day (I did have to stop and wait for the drill battery to charge, since I didn’t have the backup battery charged). But, this is a great Saturday project for your family. If you have a helping hand, it won’t take as long as it took me. 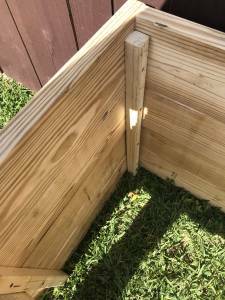 The lumber that I purchased for this project is untreated. Some people will tell you to use treated wood, because your garden will last longer, and that’s a perfectly viable option. However, if you’re worried about chemicals, like me, stick with the untreated. 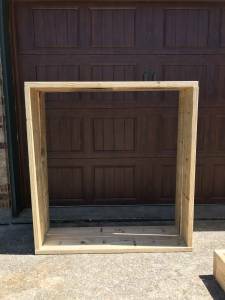 I have heard that an untreated-wood box garden usually lasts about 5 years. 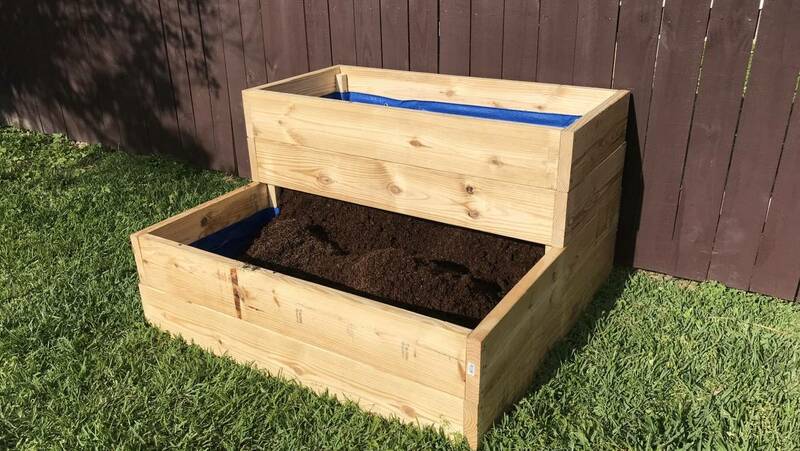 This box garden will take a lot of soil to fill. I used about 30 small bags of soil. 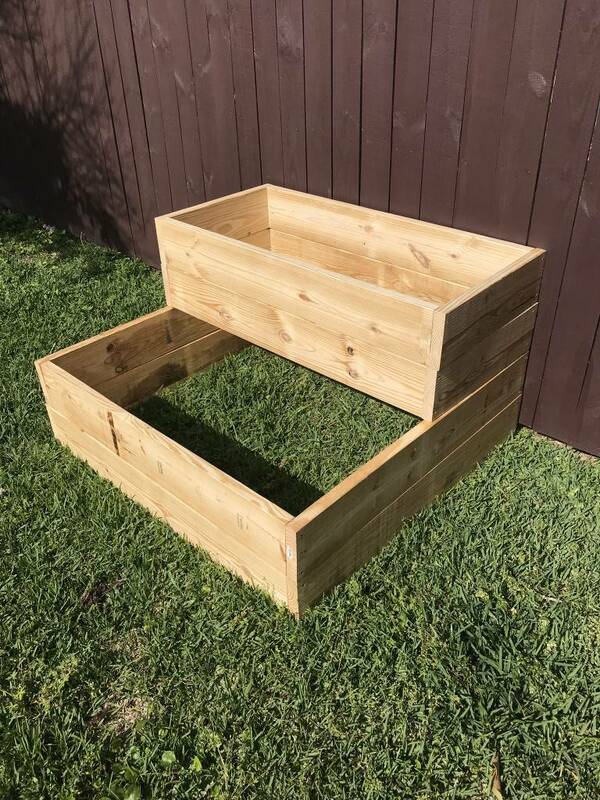 Because the garden is deep, I filled the lower half of the box with the cheap soil and saved the good (organic) soil for the top half. To save even more money, I bought the busted soil bags from the garden clearance section at Home Depot. 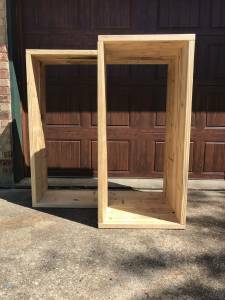 To get started, you will be building two 4 ft. x 4 ft. boxes and two 2 ft. x 4 ft. boxes. 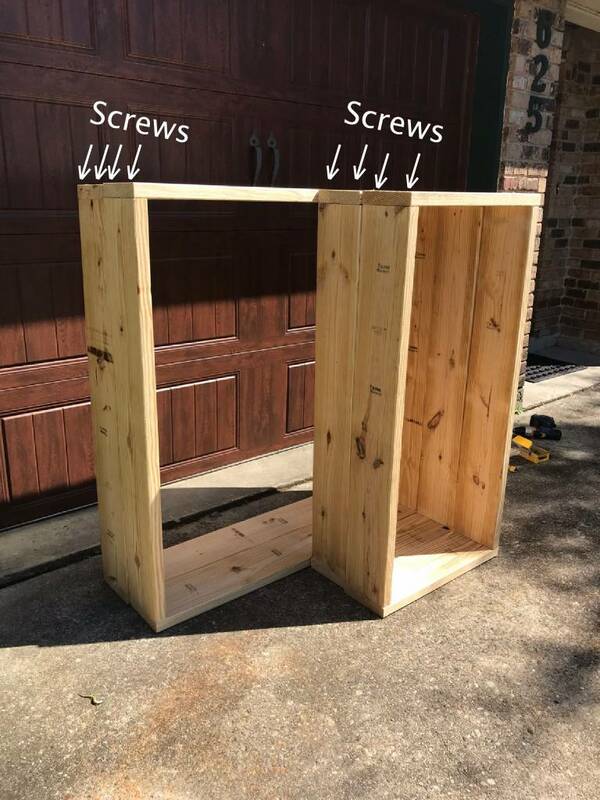 Lay out the cut pieces of wood on the ground or a large work table, and screw the sides of the wood together accordingly. I used one screw on the upper part of the wood and one screw on the lower part (this is explained in the photo below). Doing this will leave the middle of the wood open for screwing the boxes together later. cult to move once it’s put together because it’s very heavy. So you’ll need to choose your location now. Next, stack the two 2’x4’ boxes on top of each other at the back of the 4’ boxes. Make sure the boxes are all aligned. Now, take the 2” x 2” cuts of wood, and place them along the inside corners of the back of the 4 boxes (see pictured). Screw these in place by using one screw in the middle of each piece of wood, as I mentioned before. Now, your box is completely built. 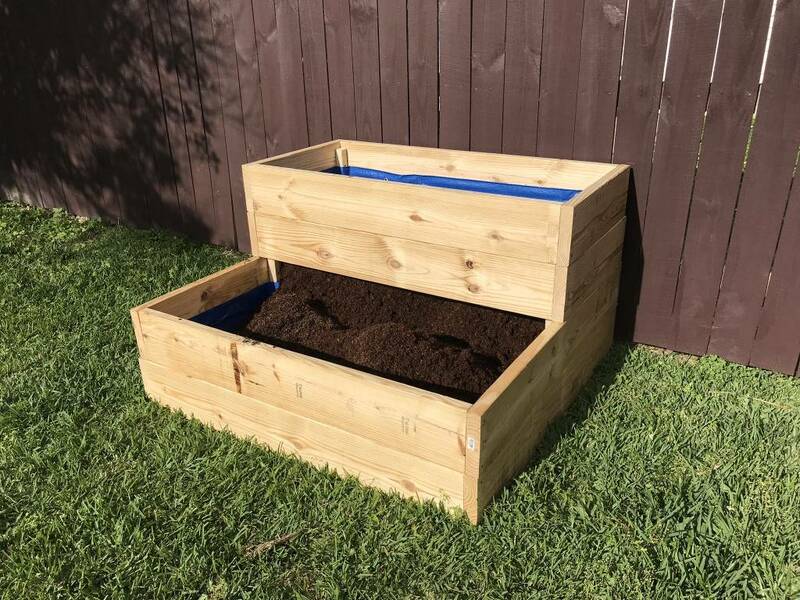 Line the tarp or plastic on the inside of the entire box, but leave a few inches from the top so that it will be completely covered with soil. Staple the tarp in place. This will help to better preserve the wood. 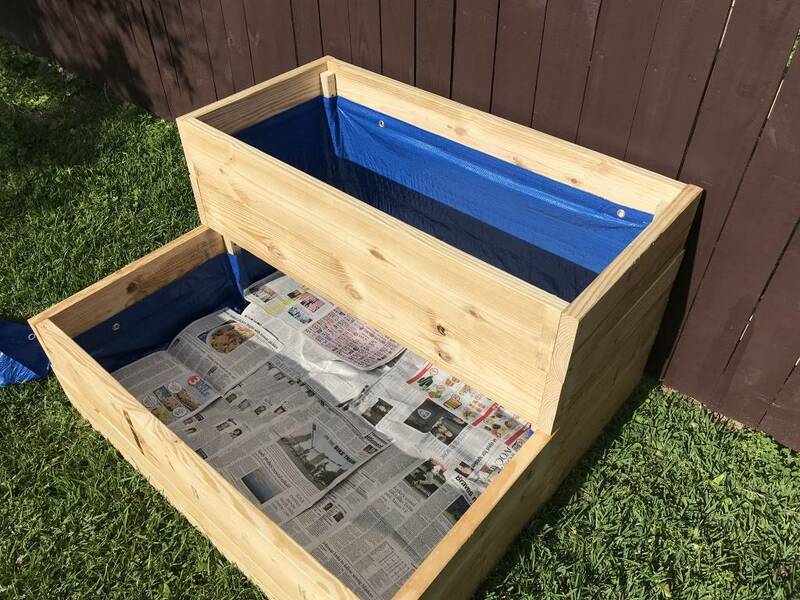 Then place your newspaper or weed barrier at the bottom of the entire box garden. Now this is the fun part– FILL HER UP! If you’re making a cheap soil layer like me, lay the cheap soil down first. Then use the good stuff on top. Your box garden is officially ready for planting.